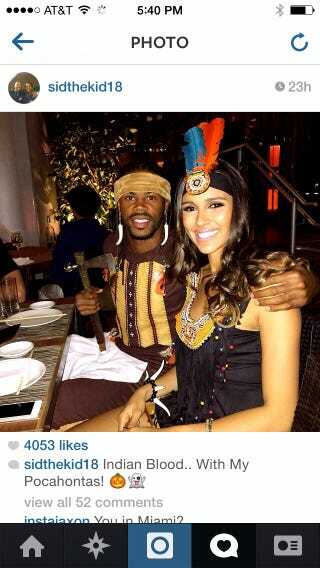 Seahawks' Sidney Rice dresses as "Indian" for Halloween. Mocks fans who question him. "unfollow since you are insensitive and ignorant. It's called Halloween where I'm from silly person... P.S. boooo"
Other fans' posts questioning Rice's decision to wear the costume and asking for an apology have been deleted.